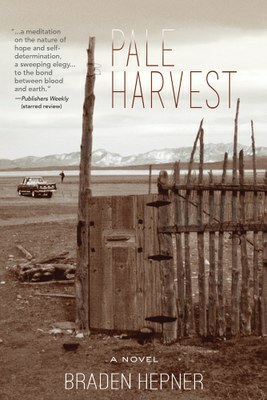 Set in modern times, in a small “passing-over place” in northern Utah, Idaho author Braden Hepner’s debut novel follows Jack Selvedge, a 20-year-old dairy farmer working his grandfather’s land, struggling against his own indifference. Young Rebekah Rainsford shakes things up when she returns to town, fleeing her abusive father. She becomes Selvedge’s obsession, a symbol of hope. “She had brought with her an essence. … It was a sullen thing she carried, in some ways frightening and in some ways appealing and in all ways maddening. It was something he needed but could never get in the remote and meager collection of houses. …” As their relationship forms, her dark history forces him to confront the chasm between his ideals and reality, while two major betrayals threaten everything. Dumptruck, from the author’s photo research for Pale Harvest.